A young girl, namely LaDerihanna Holmes, 9, from Georgia was hit by a speeding car while she was playing in her front yard on Friday, March 29. Parents are now looking for help to identify the driver. 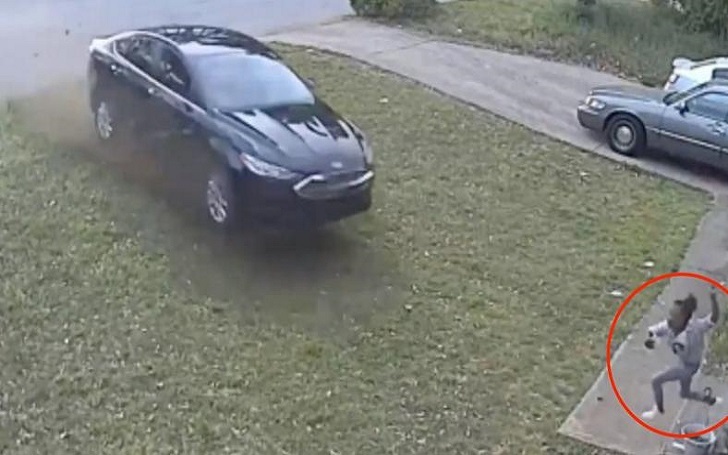 In a surveillance video obtained, the girl was captured playing with her friend in her own yard in his Lithonia home at approx. 7 p.m. Lithonia is a city about 20 miles east of Atlanta. The two children can be seen hanging out on the front sidewalk and lawn. The car suddenly comes with speed through a stop sign, crosses the street onto the property and hit the girl, pushing her into the house. Charlette Bolton, the mother of the child, told The Associated Press that when the car crashed into their house, they felt it like an earthquake. Bolton screamed for her daughter and ran outside. When she approached her daughter, she found her lifeless on the ground. A man and Bolton's 12-year-old son performed CPR on Holmes. They took her to the hospital after her mother felt a heartbeat. According to the family, Holmes suffered a fractured skull. She also had her pelvic bone broken in three places. Bolton said, "She's so tiny. She's only 45 to 50 pounds. I just don't know how she made it." As per the reported, a DeKalb County Police Department officer contacted the car's owner, who told him that her boyfriend had taken her vehicle while she was at work.